Earlier this week I stumble upon this enormous documentary on PBS. If you are into books and libraries, you’ll just love this movie that gives us an extensive tour of the New York Library and demonstrates how dedicated and welcoming the staff of its 92 branches are, what are the challenges they face in order to keep up with the demands and needs of their patrons, and particularly how important libraries can be to foster the diffusion of culture & knowledge as well as artistic creativity. It’s certainly one of the best examples of what an ideal library should be (as I recently discussed). It is amazing how our local libraries look insignificant and puny in comparison of the behemoth collection and the huge diversity of services offered by the New York Public Library… With 53 millions documents, it is the second largest public library in the U.S. (third largest in the world after the British Library and the Library of Congress). Surprisingly, despite its name, it is a private, non-profit library, but it’s using public/private partnership (and funding) to work in collaboration with local governments (city, state, federal) in providing a large array of services… It is quite interesting (and serendipitous) that, with our imminent provincial elections, a librarian and teacher at the U de M Library Science School has been very recently questioning the commitment of the government in regards of libraries. Will the government create a strategic plan for the development of libraries (like the PLA recently did) ? It is direly needed at a time when the usefulness of libraries (and even our society’s fundamental concepts of knowledge and truth) are being challenged (NYT, The Guardian) ! Of course, for such an enormous documentary, the reception has been rather mixed (with a critical response at 97%, but with only a 61% audience score, on Rotten Tomatoes) with reviews going from bad (Globe & Mail), to good (Variety) to excellent (The Guardian). For me it was very interesting to watch and compare (seeing the similarities and differences) our library work here, in relatively small municipal library branches, to what’s done in NYC. However, even with the mastery of legendary documentarist Frederick Wiseman, I do think that 3h17 is really too long for any documentary to keep the attention of the viewers (at least in one sitting)! Many sequences are unnecessarily long. Also someone can get easily annoyed by Wiseman’s “no-comment” documentary style where he just show the scene as it happens without much editing or information (like not telling us who is talking!). 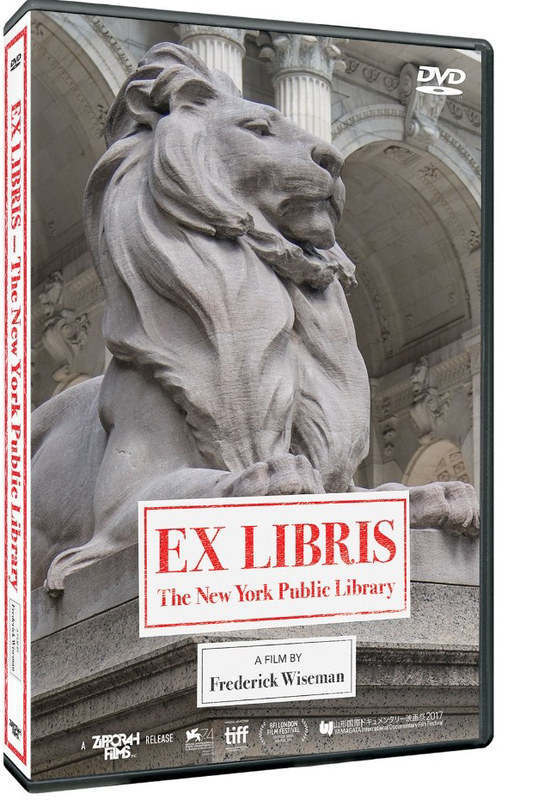 In the end, despite those faults, this documentary is definitely worth watching for anyone (with spare time) who’s interested in the realm of books and libraries.